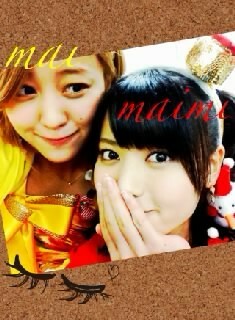 Maimi carries out a promise made to a dear friend in her December 12th update “Promise fulfilled( ￣▽￣)“. Full translation, including a bonus translation afterwards, below. The music video for Maimi’s newest group Mellowquad’s song “Eiyasa! Brother” has debuted on the 24th volume of the UF-LICKS YouTube show. The MV can seen at the 6:29 mark, and features Maimi, Berryz Koubou’s Tokunaga Chinami and Natsuyaki Miyabi, and ℃-ute’s Okai Chisato. The third episode of Hello! Project’s new weekly YouTube program, “Hello! Station”, has been uploaded to the Hello! Project Station YouTube channel. The third episode takes Maimi and Berryz Koubou’s Tokunaga Chinami out of the studio and out onto the greens to tee off in a golf challenge, which begins around the 5:43 mark. A video giving a behind-the-scenes look at the current Hello! Project concert tour was uploaded to the Mobekimasu YouTube channel. 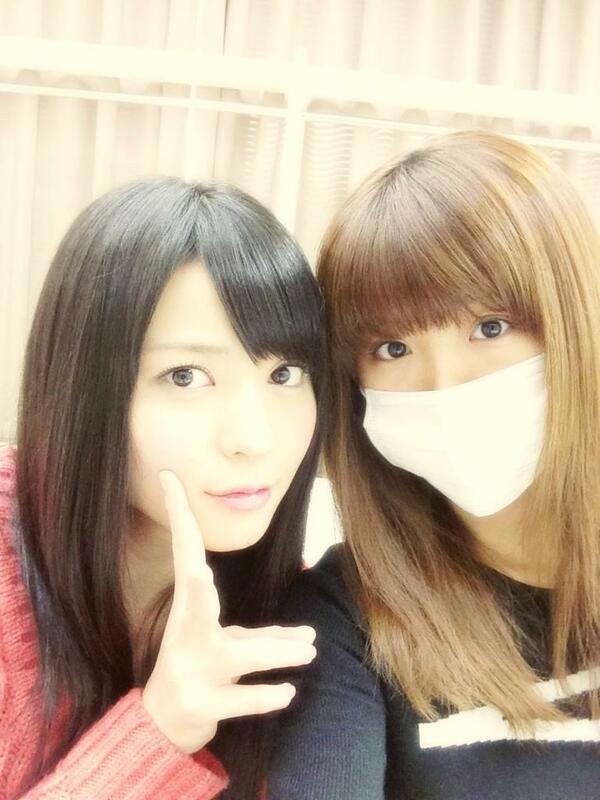 Maimi can be seen several times through-out the course of the rehearsals, and at around 6:53 she’s backstage talking with Morning Musume’s Iikubo Haruna about how fast time has been flying since the start of the new year. 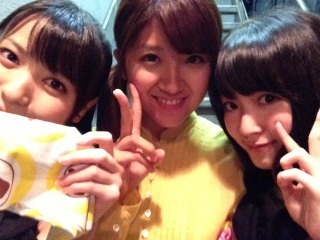 Fellow ℃-ute member Hagiwara Mai uploaded this 2-shot with Maimi in her update on the official ℃-ute blog. 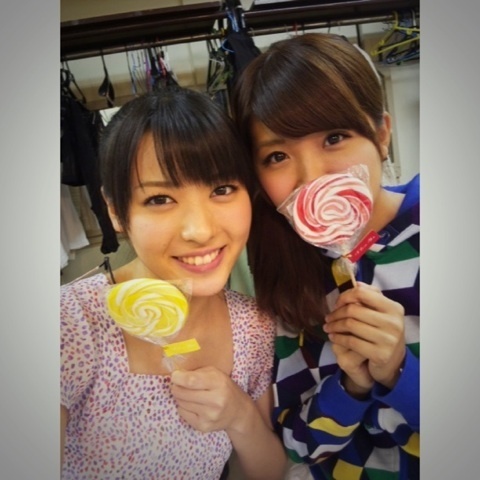 Berryz Koubou member and Maimi’s best friend Tokunaga Chinami shared this 2-shot with Maimi in her update on her official blog. 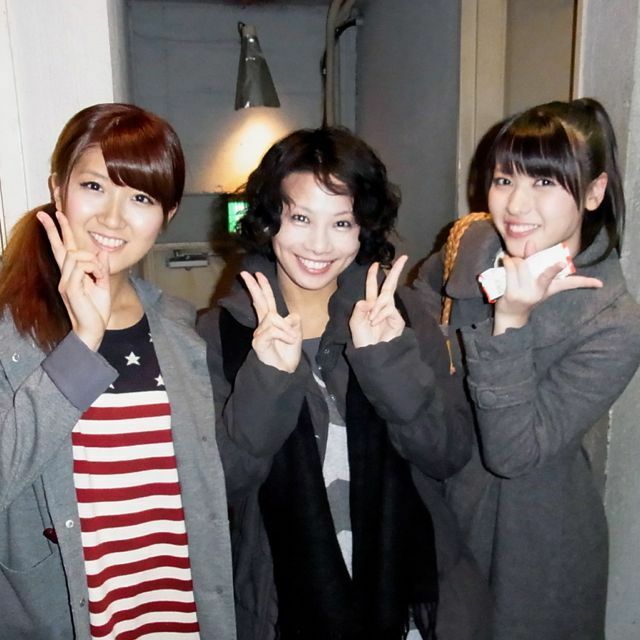 Fellow ℃-ute member Hagiwara Mai went to go see Maimi’s play “Sugar Spot” today and wrote about it in her update on the official ℃-ute blog. Mai wrote that Maimi’s acting was the best, and that she thought Maimi, who was able to play a role completely different than herself, was amazing. 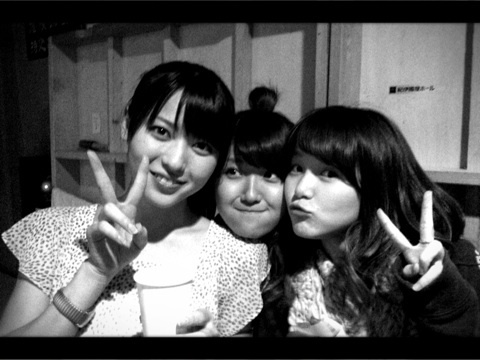 Fellow ℃-ute member Suzuki Airi also went to see “Sugar Spot”, and shared a 3-shot with the stars Maimi and Tokunaga Chinami in her update. 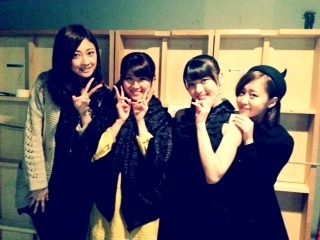 Berryz Koubou’s Kumai Yurina went and saw “Sugar Spot” along with Mai, and shared a group shot of her, Mai, Maimi, and Chinami in an update on her official blog. 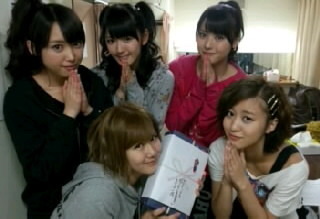 Last but not least, “Sugar Spot” writer/director Shioda Taizo updated his official blog with a post focused on Maimi. Mr. Shioda wrote about how he respected Maimi’s composure in spite of having to juggle play and concert practice at the same time. 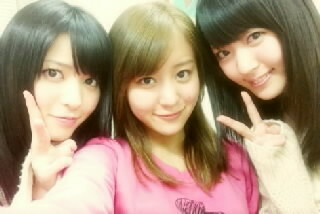 In addition, he also talked about several struggles he came across coming up with Maimi’s role. 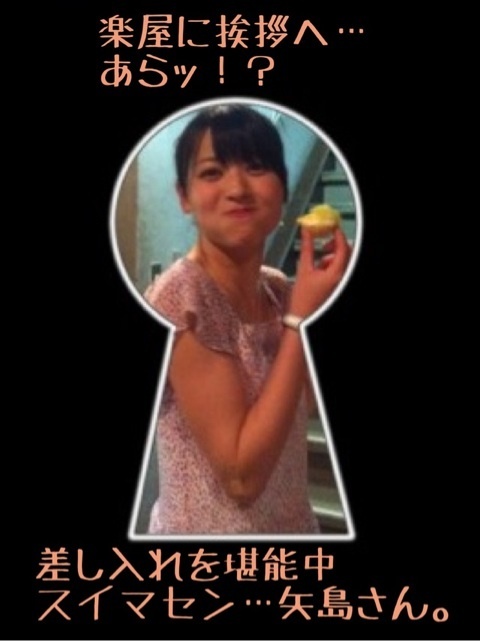 As Maimi is a wonderful person, she needs a wonderful role, and also one that taps into her unlimited acting potential. Other things he considered were her special relationship with Chinami, and a writer’s duty to create a flawed character for someone flawless like Maimi. 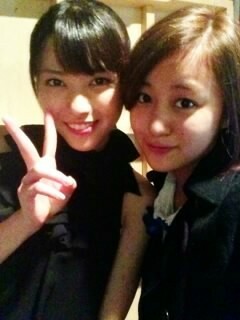 Fellow ℃-ute member Nakajima Saki posted this 2-shot with Maimi in her update on the official ℃-ute blog today. “Sugar Spot” writer/director Shioda Taizo posted about the play’s opening day on his blog today, and shared another picture featuring Maimi. 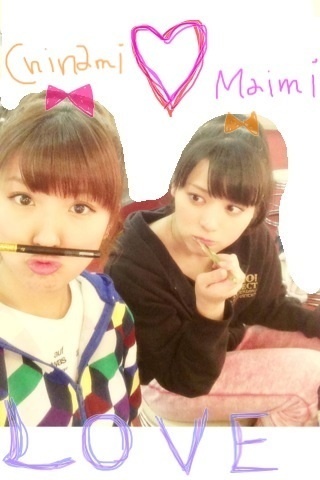 Berryz Koubou’s Tokunaga Chinami shared this 2-shot with Maimi in an update on her official blog. 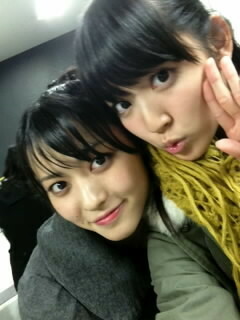 “Sugar Spot” writer/director Shiota Taizo posted this 2-shot of Maimi and Chinami in an update on his official blog. The “UTB” Twitter tweeted this picture of Maimi from the photoshoot for her upcoming photobook “Hatachi”.